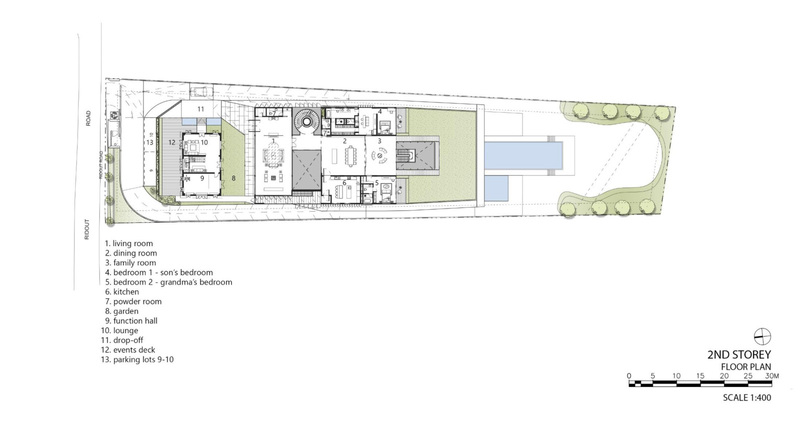 Hidden House is a Good Class Bungalow perched on a hilly terrain overlooking a large woody landscape. 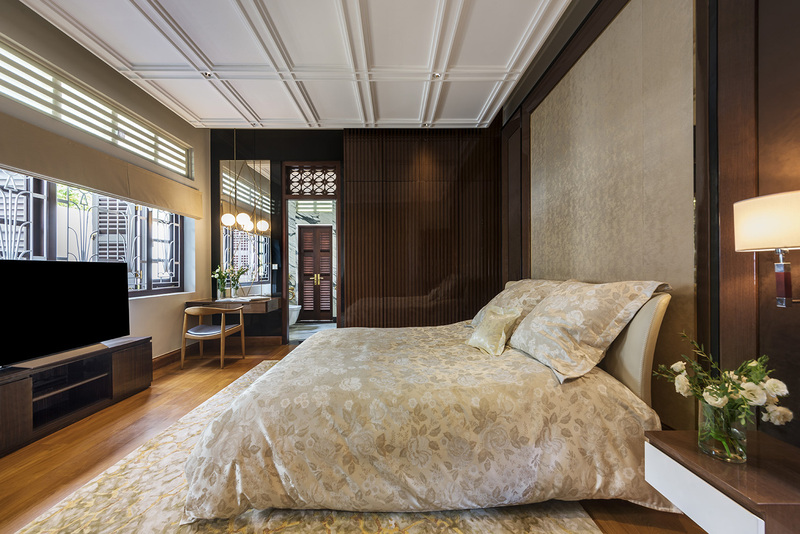 It consist of a conserved bungalow and a new modern bungalow, creating a dialogue between 2 distinctly different Architecture. 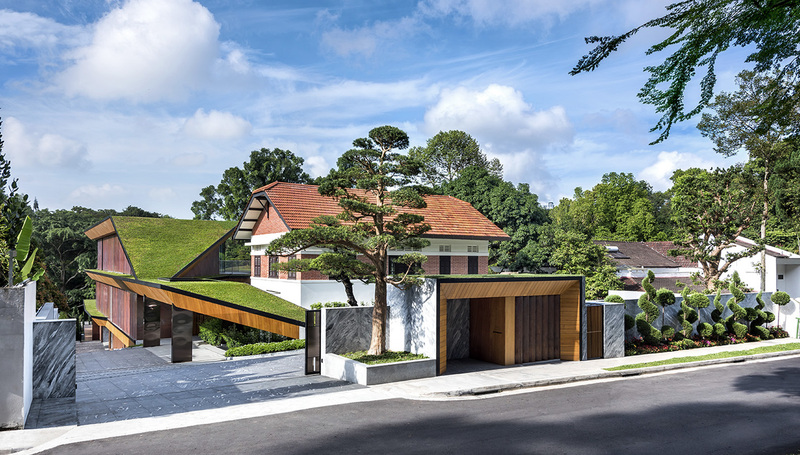 The form of the new modern bungalow is designed as a series of stepped terraces with green roofs to respect the conserved bungalow, creating a unique context. 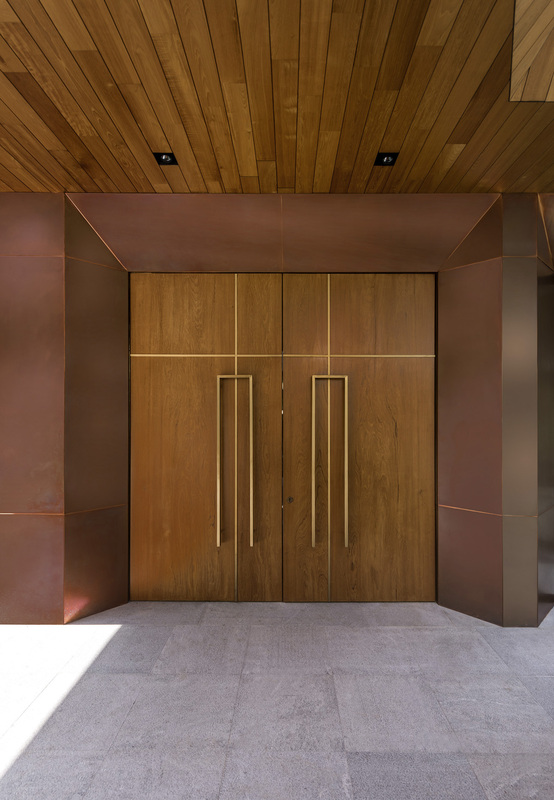 To give the design an added sense of tropicality for the modern bungalow, the perimeter of each floor is designed with deep over hanging eaves and its façade is fitted with motorized copper fins to provide adequate sunshading to its occupants within. 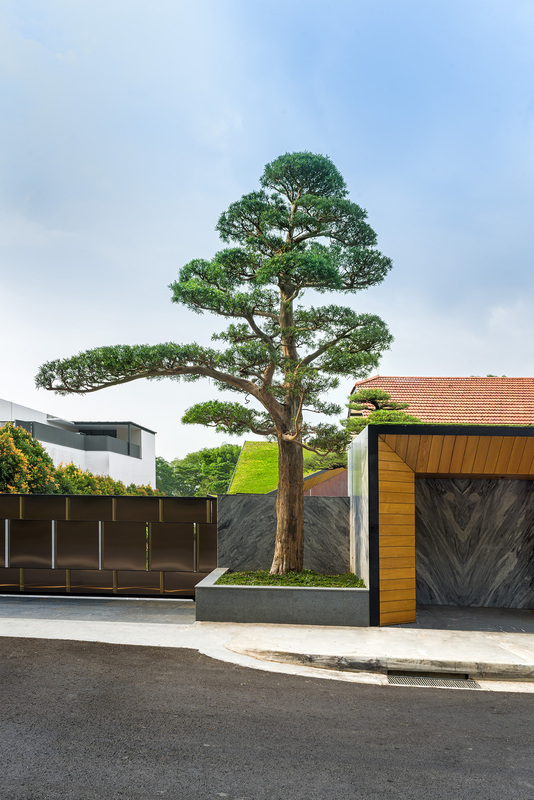 The materials and colours of the new modern bungalow is one that is earthly, enabling it to harmonize with its natural environment. 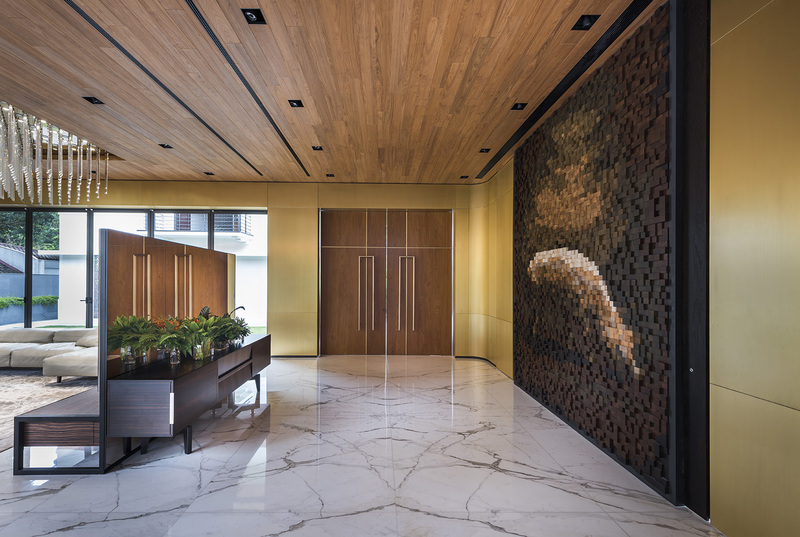 The result is an architecture that is sensitive to its environment and with spaces and details designed with a human touch. 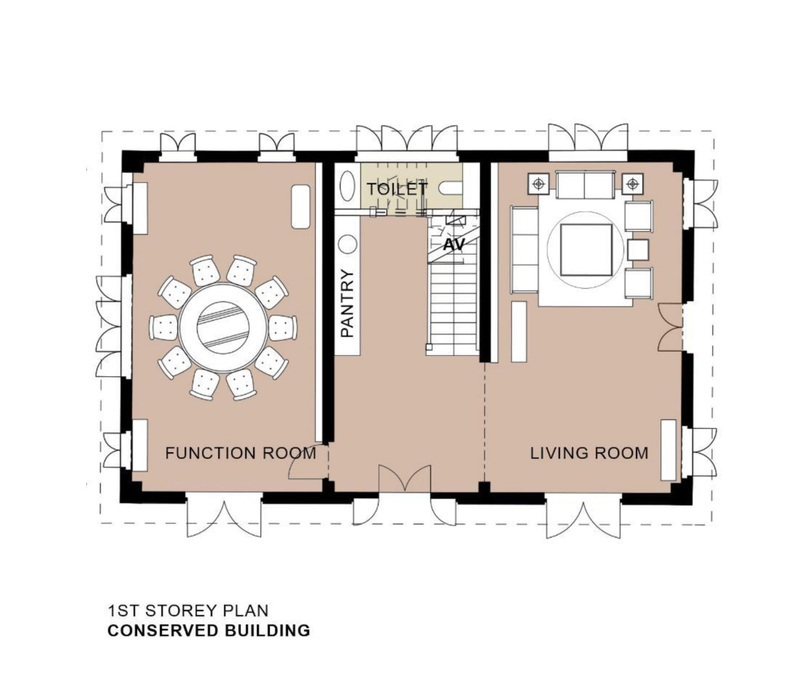 The house consist of 2 buildings; an existing pre-war conserved bungalow and a new modern bungalow insertion. 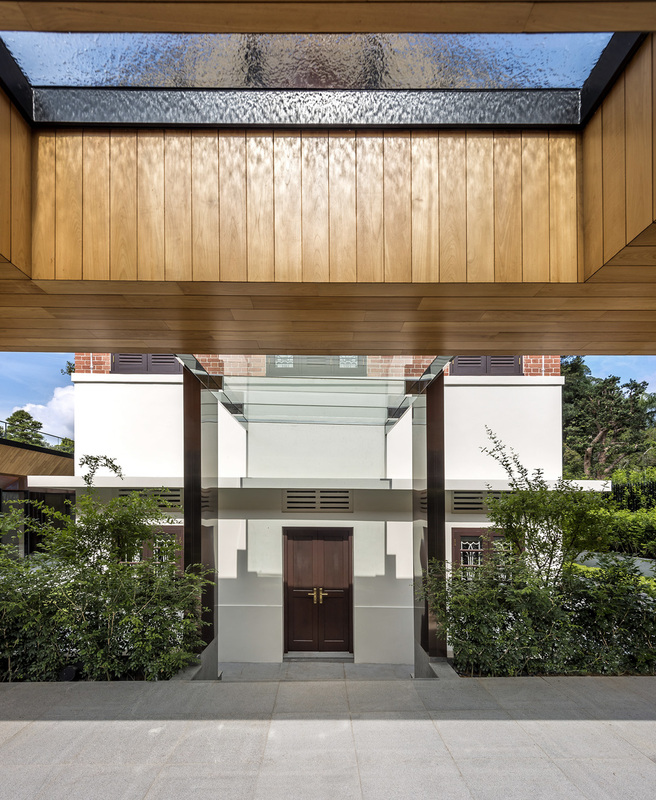 In order to allow the 2 different styles architecture to co-exist harmoniously, we design the new bungalow with a receding form from the front road so as to maintain the austerity of the conserved bungalow. 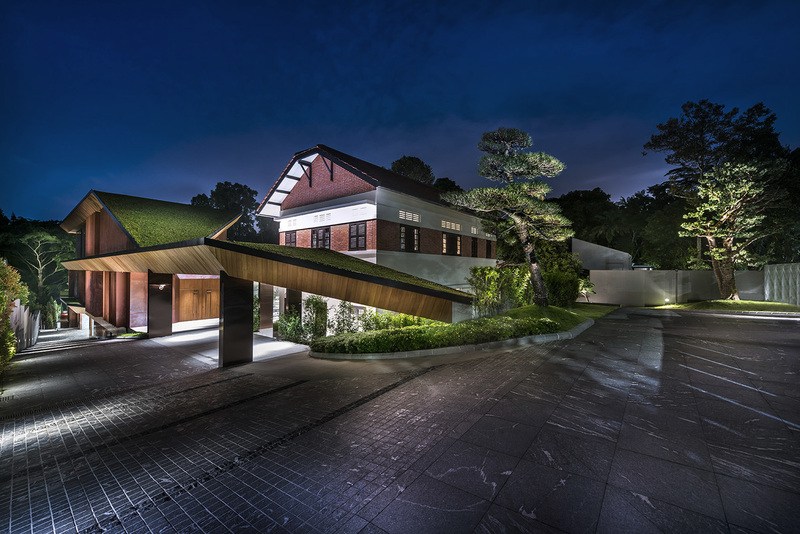 From the front elevation, one sees the conserved bungalow’s full glory with the new bungalow creating a backdrop with its green roof rising from the ground to the top at the back. 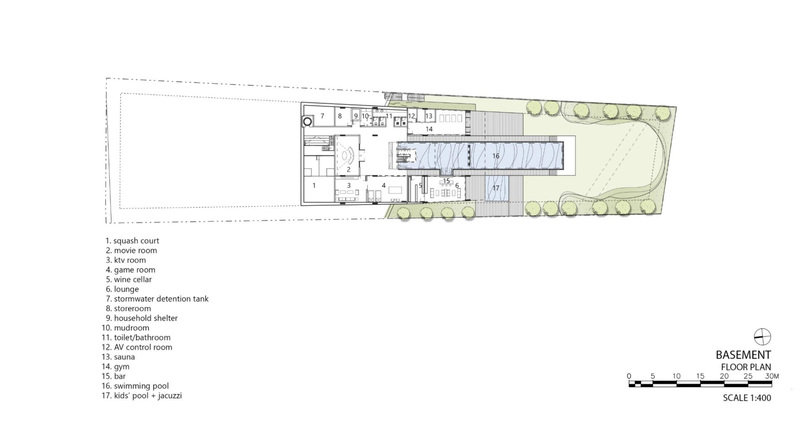 From the rear elevation, the new bungalow takes precedence, presenting the modern side of the house. 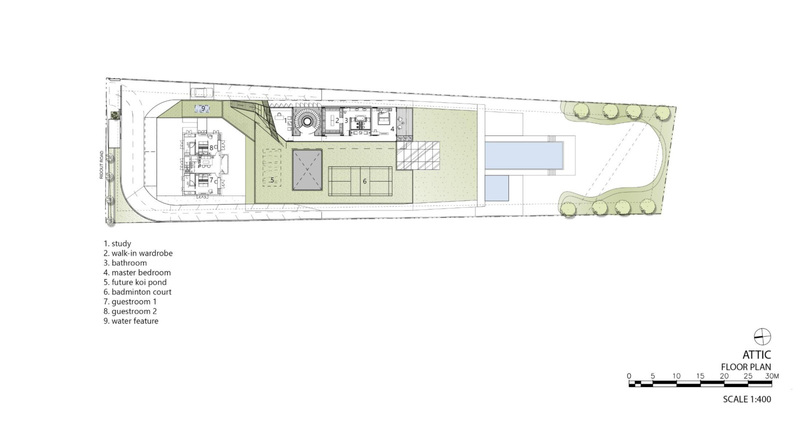 The design of the house is a long dwelling typology, with 3 courtyards introduced in between to provide breathing spaces. 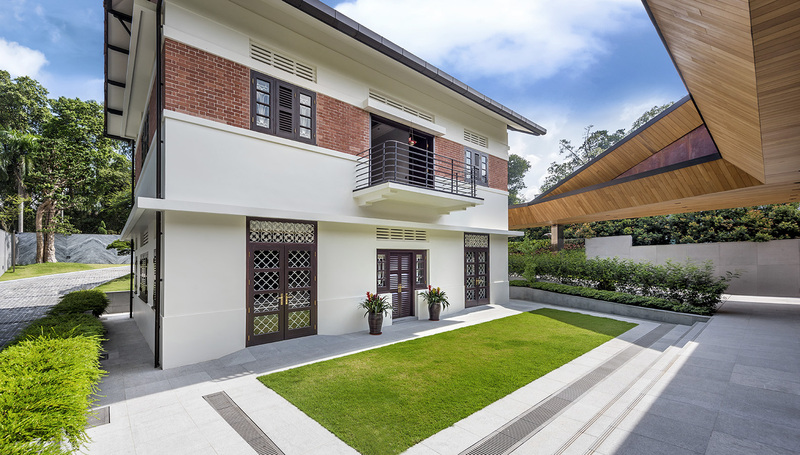 The green court at the 1st storey, situated between the old conserved house and the new bungalow, is a lawn that provides the occupants a place where outdoor activities can be carried out. 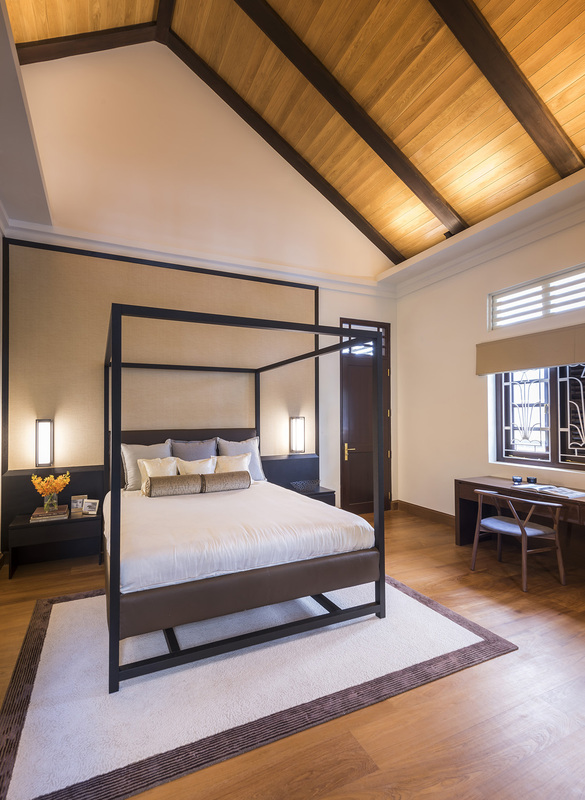 Next to the living room of the new bungalow, the green court offers ample natural lighting into the new bungalow. 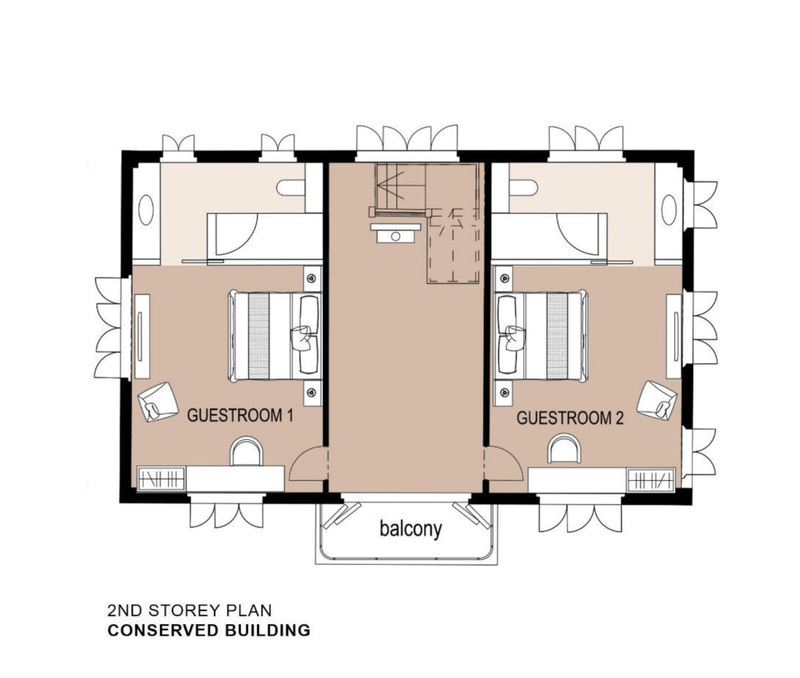 The wood court at 1 level below the green court, separates the living room and the dining room of the new bungalow, providing a secluded semi-private space within the house. 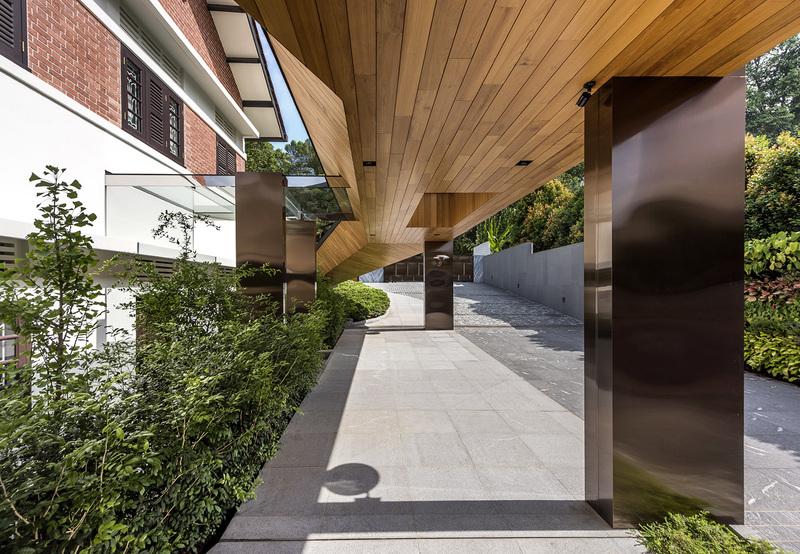 This courtyard, situated next to the garage of the house, brings light and air deep into the house. 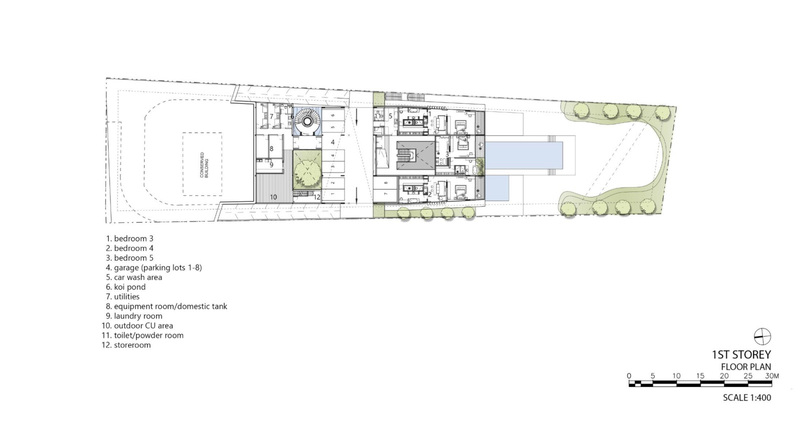 The water court, at the lowest level of the new bungalow, is where a 30m swimming pool is situated. 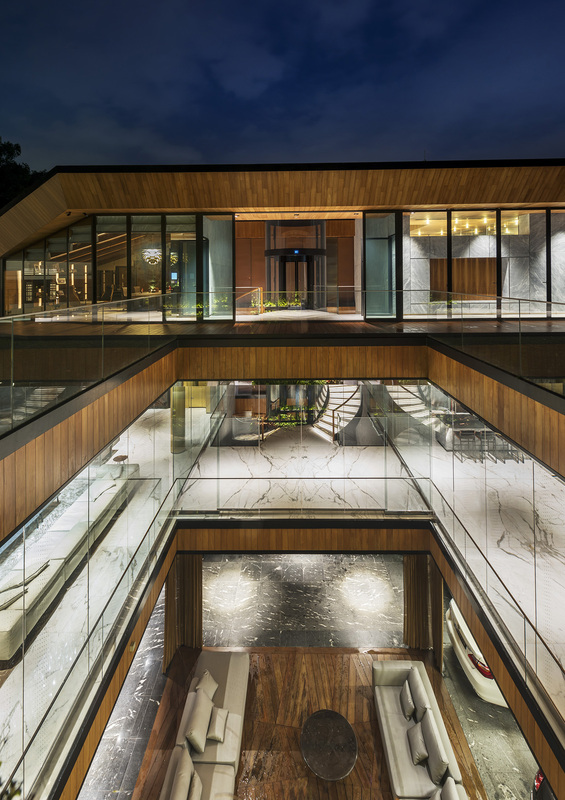 The swimming pool starts from the interior of the house and extend to the exterior of the house, along with it bring a cooling effect into the interior through convection. 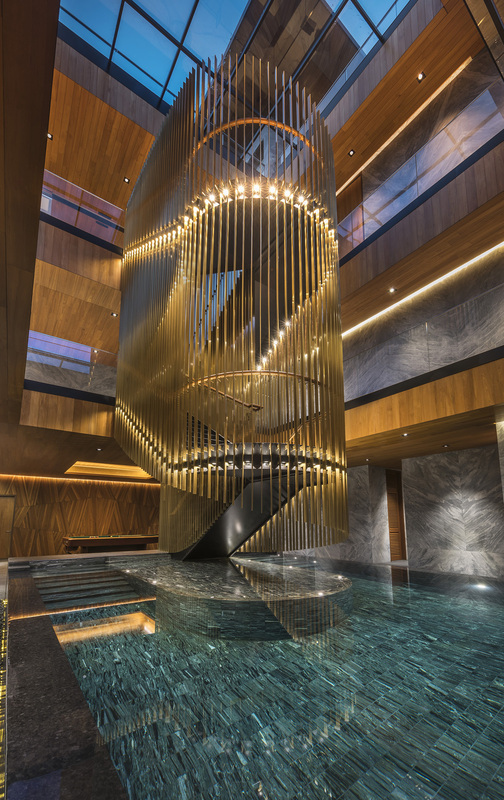 Within this water court stands a feature staircase that is designed to glow in the night, giving a focus to the high volume space.